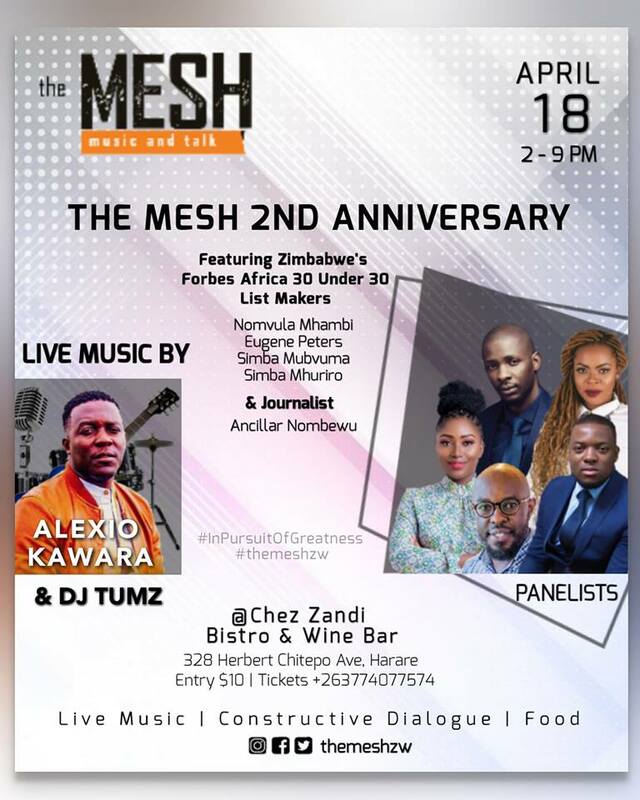 The Mesh, a social gathering that seeks to cultivate a good networking web for young adults in terms of business and social relations, will this month celebrate its second anniversary by having a list of Zimbabweans who have made it to Forbes Africa 30 under 30. The special edition slated for 18 April, will see the likes of Nomvula Mhambi, Simba Mubvuma, Samuelle Dimairho, Eugene Peters and Simba Mhuriro making the A list of panellists. The Mesh has grown in leaps and bounds over the past year which saw people likes Tommy Deuschle Jnr, Ruvheneko Parirenytwa, Misred, Mudiwa Hood, Coach Taf, Gabriel Chipara, Mellany Msengezi Mariri (Econet Marketing GM) among others taking part. The Mesh uses music and dialogue as tools to perpetuate a progressive youth in the society. The mission of The Mesh is; To gather thought leaders, movers and shakers and people from every culture and discipline and make great ideas accessible. Other artists who have performed at this glamorous social event include Bryan K, Tamy Moyo, Leonard Mapfumo, Black Sight and Fusion 5 Mangwiro among others.